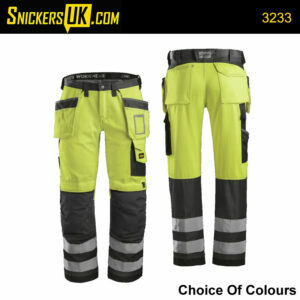 Solid Gear Footwear is recommended by Snickers Workwear and part of the Hultafors Family. Designed to be stylish yet comfortable and light by using the latest metal and metal free componants. While we stand by the durability of our safety footwear please remember that “safety” dosen’t automatically mean suitable for site work. In heavy working conditions leather will be more durable than fabric. In that case consider the Apollo or Bravo or in extreme conditions Polar, Sparta & Delta. For indoor and second-fix situations, fabric based footwear, such as Falcon & Phoenix can provide a light and flexible solution. Plenty of choices to suit your needs. Atlas features the latest technology for safety shoes, providing a unique combination of durability, lightweight and exceptional comfort. This high-tech shoe comes with the new oil- and slip-resistant Vibram TPU outsole, which offers outstanding grip on ice and snow even in very low temperatures. In addition, premium full-grain impregnated leather ensures great water repellency and breathability. For enhanced comfort, the fiberglass toecap features multilayer technology that creates a roomier toe box, while our new thinner and stronger composite plate adds extra flexibility. Griffin is a high-tech safety shoe that offers a unique combination of durability, lightweight and exceptional comfort. This supreme shoes comes with the new oil- and slip-resistant Vibram TPU outsole, which offers outstanding grip on ice and snow even in very low temperatures. In addition, premium full-grain impregnated leather combines with Cordura Ripstop fabric to ensure great water repellency and breathability. Lagoon is a groundbreaking safety shoe developed in accordance with the female anatomy. Featuring highly advanced technologies, such as breathable EVA insole, high-performance injected EVA midsole and anti-slip rubber outsole. This shoe offers excellent function and protection for women’s feet. Lightweight seamless upper mesh fabric provides great ventilation while aluminum toecap and composite plate ensure maximum protection. Probably the lightest and most breathable safety shoe in the world, Cloud combines a ventilating, anti-bacterial insole with a high-performance injected EVA midsole and an anti-slip rubber outsole. The breathable upper is made of a strong yet lightweight mesh fabric. Falcon is a high-tech safety boot that offers a unique combination of durability, lightweight and exceptional comfort. This supreme shoes comes with the new oil- and slip-resistant Vibram TPU outsole, which offers outstanding grip on ice and snow even in very low temperatures. In addition, premium full-grain impregnated leather combines with Cordura Ripstop fabric to ensure great water repellency and breathability. Helium 2.0 is an updated version of our legendary Helium, which was our first big hit back in 2009. We have added new technology and made it lighter, more breathable and even more comfortable. Step into this shoe and experience true passion for shoe making. Pacific features the most advanced technologies and is in many ways a revolutionary safety shoe. A superlight high-performance EVA midsole combines with an anti-slip rubber outsole to provide a smooth and secure stride. In addition, the seamless upper mesh fabric offers excellent breathability while aluminum toecap and composite plate ensure maximum protection. Apollo features the latest technology for safety boots, providing a unique combination of durability, lightweight and exceptional comfort. This high-tech boot comes with the new oil- and slip-resistant Vibram TPU outsole, which offers outstanding grip on ice and snow even in very low temperatures. In addition, premium full-grain impregnated leather ensures great water repellency and breathability. For enhanced comfort, the fiberglass toecap features multilayer technology that creates a roomier toe box, while our new thinner and stronger composite plate adds extra flexibility. Evolution Black is the next generation of Alethic Safety Footwear from SOLID GEAR. A unique dual density EVA midsole take comfort to the next level, never before have a safety shoe been this close to a athletic shoe. Upper without seams give the Evolution Black fantastic value in breathability. SOLID GEAR also introduce the users to the new developed NANO toe cap. 40% stronger than fiberglass, lighter and also thinner than other non-metallic toe caps. Using PU-foam Sock Technology the comfort in this shoe is best in class, slip resistance class SRC ensures the highest level anti-slip. Evolution Black is ESD dissipative according to DIN EN 61340. Haze is the next generation of athletic safety footwear from SOLID GEAR. A unique dual density EVA midsole takes comfort to the next level, never before has a safety shoe been this close to an athletic shoe. The StarKnit upper without seams gives the Haze fantastic breathability, fit and flexibility. Haze is ESD dissipative according to DIN EN 61340. Bushido Glove is our most versatile and unique product, performing both as a shoe, sandal and slip-in. A high-tech Vibram outsole combines with a lightweight and breathable upper to ensure great ergonomics and optimal comfort. Adding the BOA Closure System, which distributes the pressure evenly across your feet for a glove-like fit, makes this hybrid one of a kind. Technical safety shoe that integrates modern design with best-in-class materials for durability and a sporty look. Vibram outsole and Cordura Ripstop fabric combine with the unique BOA Closure System to offer excellent protection and fit. Revolt GTX is a high-tech safety shoes featuring a waterproof and breathable GORE-TEX® lining that keeps your feet dry and comfortable even in really wet conditions. Engineered to the highest standards, the shoe comes with anti-bacterial insole, high-performance injected EVA midsole and anti-slip rubber outsole. Composite plate and aluminum toecap provides great protection. Triumph GTX is a high-tech safety shoes featuring a waterproof and breathable GORE-TEX® lining that keeps your feet dry and comfortable even in really wet conditions. Engineered to the highest standards, the shoe comes with anti-bacterial insole, high-performance injected EVA midsole and anti-slip rubber outsole. Composite plate and aluminum toecap provides great protection. Sparta is a warm safety boot that provides a unique combination of durability, insulation, comfort and lightweight. This high-tech boot comes with the new oiland slip-resistant Vibram TPU outsole, which offers outstanding grip on ice and snow even in very low temperatures. In addition, premium full-grain impregnated leather ensures great water repellency and breathability. Sparta also comes with our unique THERMO lining, which combines wool and technical fibers in multi layers to keep you warm and dry. 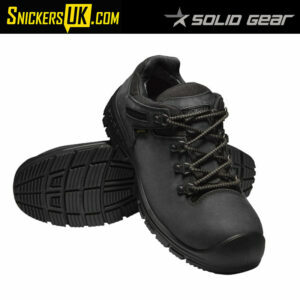 ALPHA GTX is state of the art safety shoes with all the new technics in a very classic design. Full grain impregnated TECH leather for best in class durability. VIBRAM rubber outsole with new developed FLEX-SYSTEM technology ensures that the shoe will support your step from heel strike to toe off. High injected PU midsole for maximum comfort and rebound. GORE-TEX®-membrane for waterproofness and top of the line breathability. Revolution Infinity from Solid Gear is exactly what we write: a revolution for safety shoes. Endless cushioning and comfort has until now been impossible in safety shoes, but with Solid Gear ETPU we make it possible. The more energy you give, the more you get back. BRAVO GTX is state of the art safety shoes with all the new technics in a very classic design. Full grain impregnated TECH leather for best in class durability. VIBRAM rubber outsole with new developed FLEX-SYSTEM technology ensures that the shoe will support your step from heel strike to toe off. High injected PU midsole for maximum comfort and rebound. GORE-TEX®-membrane for waterproofness and top of the line breathability. 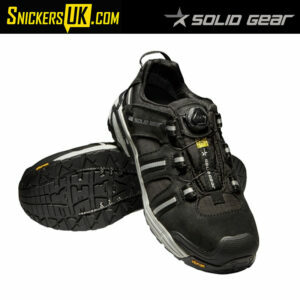 Vent from SOLID GEAR is a highly breathable and lightweight safety shoe. By using the revolutionary technology INFINITY E-TPU, the midsole gives you endless cushioning and comfort. The more energy you give, the more you get back. TPU reinforcement covering the highly breathable net mesh for a supreme fit and great protection. Hydra GTX is a technical safety shoe that integrates modern design with best-in-class materials for water protection, durability and a sporty look. Waterproof and breathable GORE-TEX® lining keeps your feet dry and comfortable, while Vibram outsole and Cordura Ripstop fabric offer great protection and ruggedness. The unique BOA Closure System, which distributes the pressure evenly across your feet, ensures a glove-like fit. One from SOLID GEAR is something the safety shoe market has never seen before. 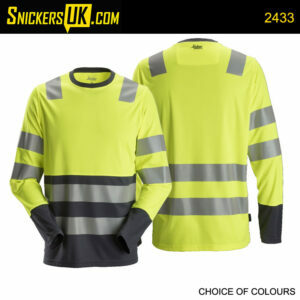 360° breathability and waterproofness with GORE-TEX® SURROUND® technology together with safety classification S3. SOLID GEAR has together with GORE® created a unique product, leaving all other waterproof safety shoes on the market far behind. Experience One from SOLID GEAR and step into the future of safety shoes. Phoenix GTX is a technical safety boot that integrates modern design with best-in-class materials for water protection, durability and a sporty look. Waterproof and breathable GORE-TEX® lining keeps your feet dry and comfortable, while Vibram outsole and Cordura Ripstop fabric offer great protection and ruggedness. The unique BOA Closure System, which distributes the pressure evenly across your feet, ensures a glove-like fit. DELTA GTX is a state of the art safety shoe with all the new technics in a very classic design. Full grain impregnated TECH leather for best in class durability. VIBRAM rubber outsole with new developed FLEX-SYSTEM technology ensures that the shoe will support your step from heel strike to toe off. High injected PU midsole for maximum comfort and rebound. GORE-TEX® JAZZ stretch upper, first safety shoe brand in the world to launch a boot with JAZZ®-stretch technic. With the JAZZ®–stretch upper we have been able to construct a completely new kind of uppers for boots. With new material we have created “close to body fit” and with new ERGO-ZONES in the shaft this is something you must experience.